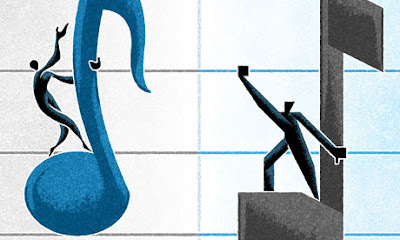 Luca Bartolomes Pacioli profoundly changed the course of business by analyzing and propagating the accounting systems that developed in Renaissance Italy – notably, double-entry bookkeeping. It is not easy to overstate this system’s impact. The world’s financial wealth is ultimately reducible to entries like those this Franciscan friar might have written on parchment with a quill pen. Double-entry bookkeeping has existed since at least the fourteenth century. A set of books from Genoa, dated 1340, still exists, and used an excellent double-entry form. The system was used by such Italian banking houses as the one established in Florence by Giovanni di Bicci de’ Medici in 1397. However, this system is most closely associated with friar Luca Pacioli. 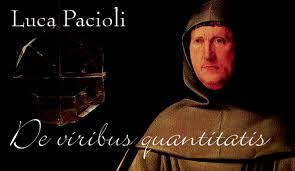 While Pacioli was well known and respected in his time, today he is a largely unsung hero of the Renaissance--except in accounting circles. Pacioli was born about 1445 at Borgo San Sepulcro in Tuscany. He was a "Renaissance man" in the true sense. Besides his churchman’s knowledge of religion, he was knowledgeable in business, military science, mathematics, medicine, art, music, law and language. His friend and associate, Leonardo da Vinci, helped illustrate one of Pacioli’s books, Divina Proportione. For several years of their enduring friendship, Pacioli tutored da Vinci in mathematics, geometry and proportion. Click here for a look at da Vinci's contributions to art. The book that created Pacioli’s lasting reputation was his Summa de Arithmetica, Geometria, Proportioni et Proportionalita. This book was published in 1494 – coincidentally, the year the once-powerful Medici bank failed. The Summa, which includes the first printed text on algebra, dealt with a variety of mathematical subjects. It is known in accounting history, however, for a section which elaborated the mathematical formula behind double-entry bookkeeping (Assets = Liabilities + Owner’s Equity) into a sophisticated system of ledger entries. The money and date columns in Pacioli’s ledger were almost identical to those in modern ledgers. Entries consisted of brief paragraphs; debits were on the left side of a double page, credits on the right. The trial balance was the end of Pacioli's accounting cycle. If the credit and debit columns were not equal, said Pacioli, "that would indicate a mistake in your Ledger, which mistake you will have to look for diligently with the industry and intelligence God gave you." So good was the system that Pacioli codified that it quickly came to dominate European accounting. His Summa was soon translated into five languages, and numerous European writers described his system of accounts – often without giving Pacioli any credit. 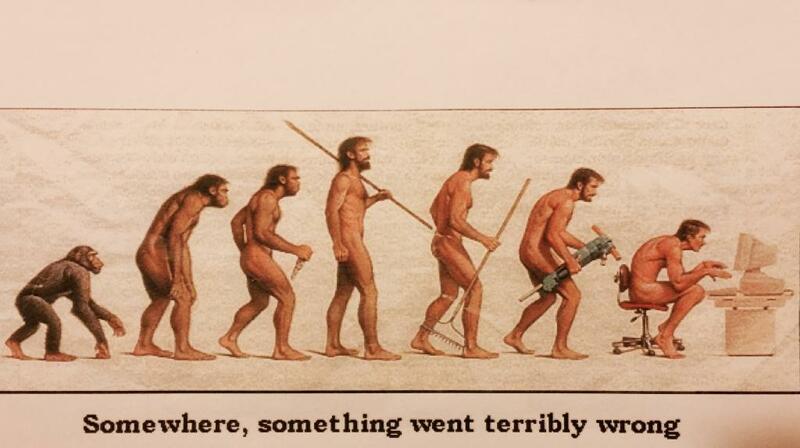 The first to do so in English was Hugh Oldcastle, in 1553. The respect Pacioli received from his peers can be seen in his having been elected Superior of his order. His great loves were teaching and academic inquiry, and he was well known to many of the great Renaissance figures of his day. Despite his brilliance, Pacioli’s work was not often laden with sparkling, original ideas. Like his writings on accounting, his work often reflected the thinking of lesser lights from the era. At least in part, Pacioli’s work was a response to expanding commerce between Europe (especially present-day Italy) and the Middle East. That trade played a large role in fuelling the Renaissance, which received another boost from Western Europe’s assimilation of Arabic advances in mathematics and science. The Renaissance illustrated profoundly how commerce and prosperity can give rise to innovation in art, philosophy, science and technology. Luca Pacioli, who died in 1517, was one of the great men of that remarkable era. If you read Richard Stone's 1984 Nobel Lecture, you may agree that Pacioli laid a foundation stone of modern Macroeconomics.